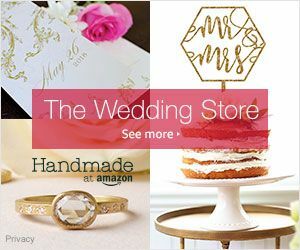 Ever wonder what wedding dreams are made of? 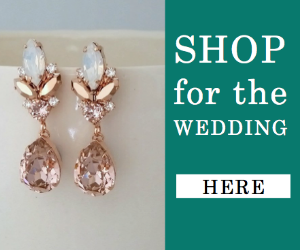 Keep your eyes peeled, you guys! 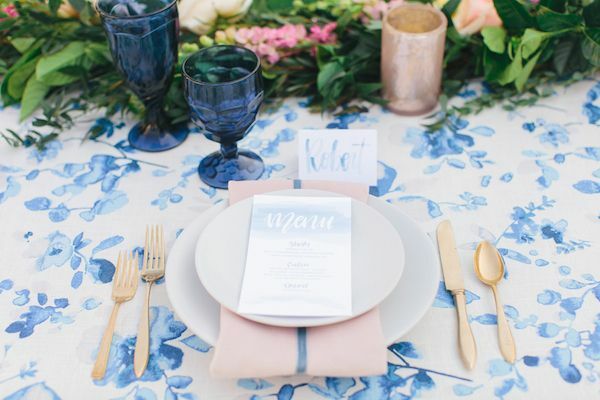 Because this fabulous fete is dreamy and then some! 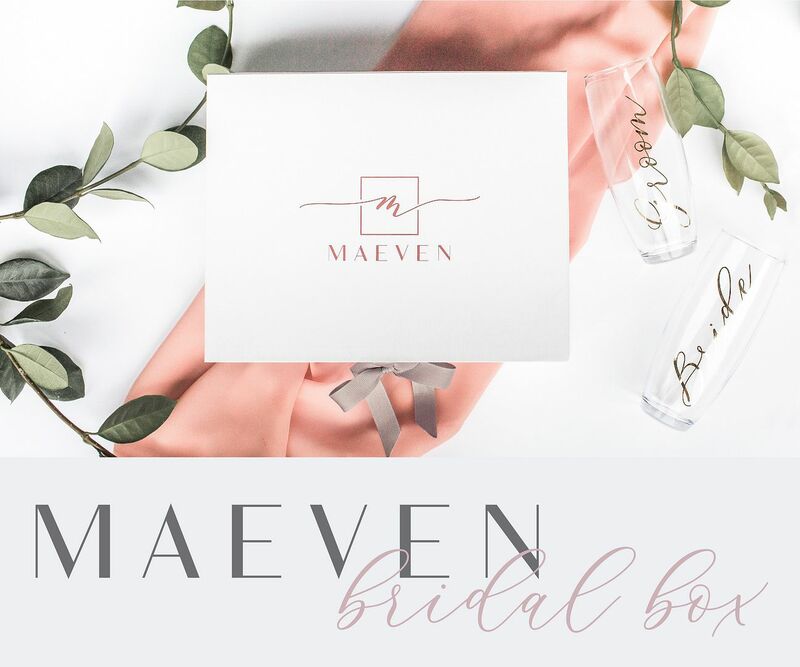 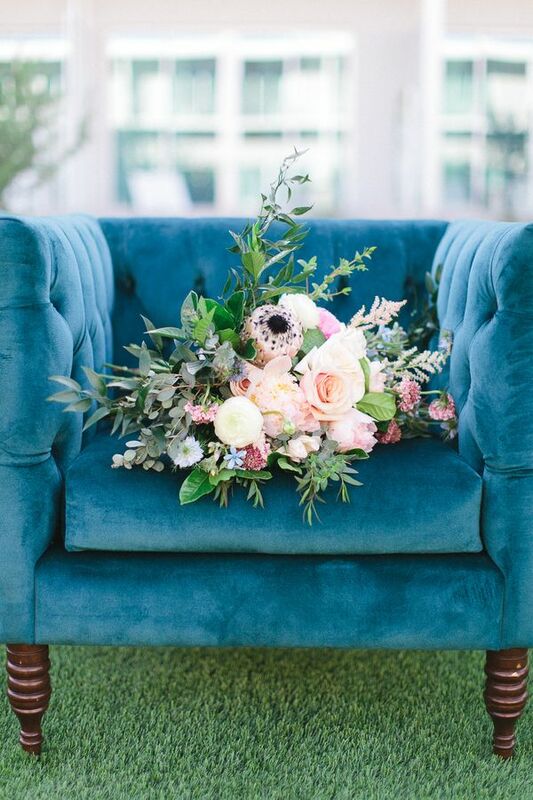 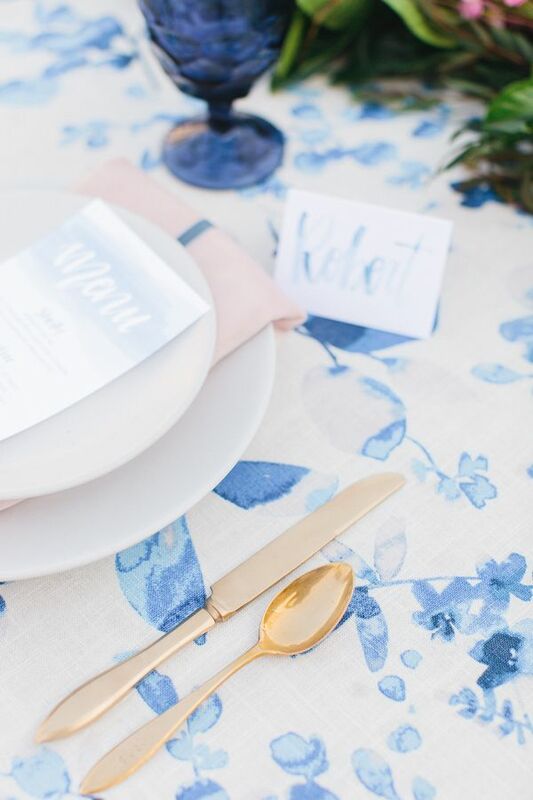 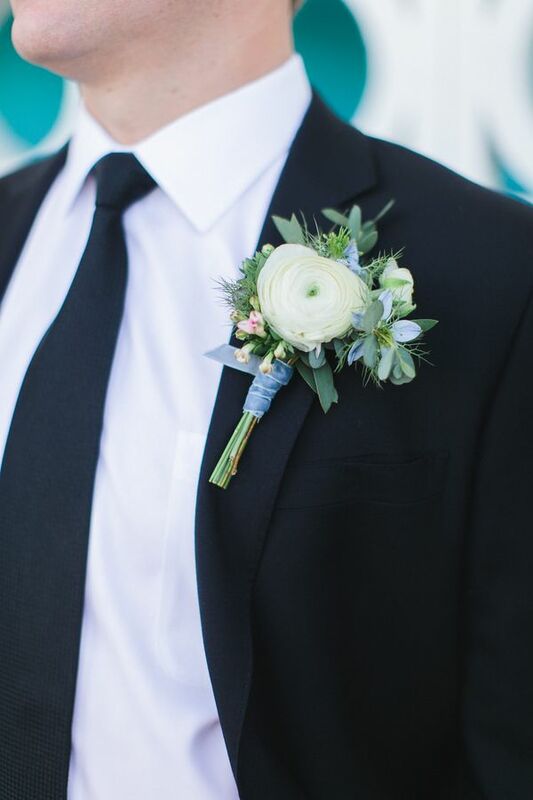 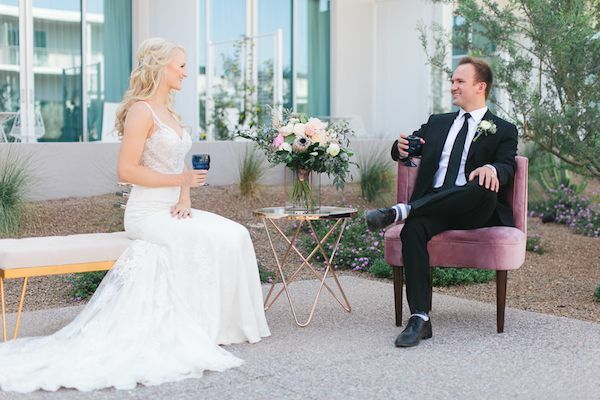 Captured by Andrew Jade Photography and with event planning by Coco Collective Weddings and Ashley Gain Weddings and Events — it was love at first sight for us, m'dears! 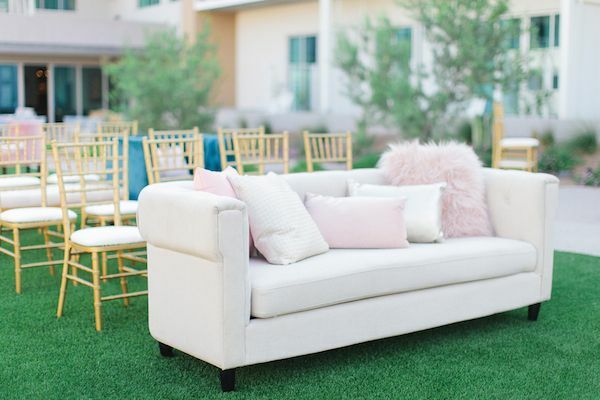 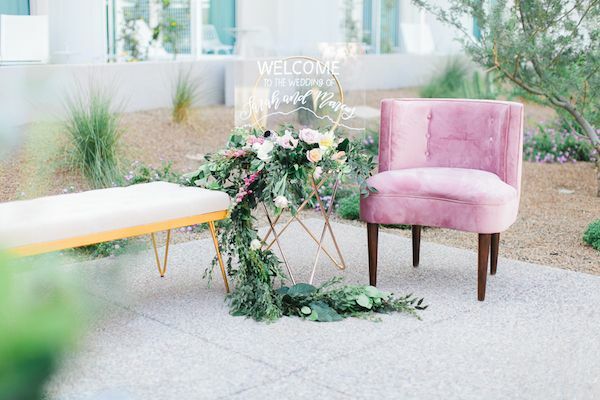 From planner, Courtney Olsen: "The idea behind this shoot was to mix traditional and modern elements together, to give couples inspiration who may want a classic and elegant design, but who are also looking at a modern and trendy venue." 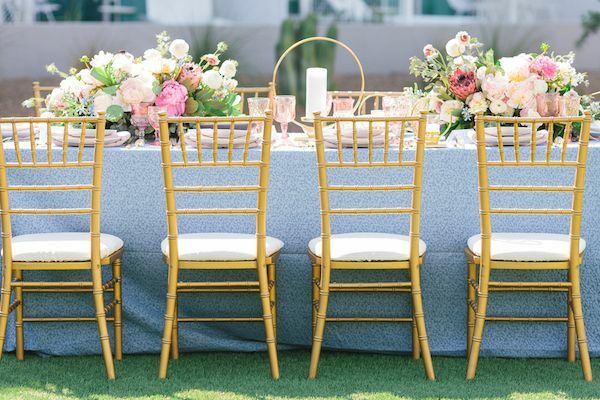 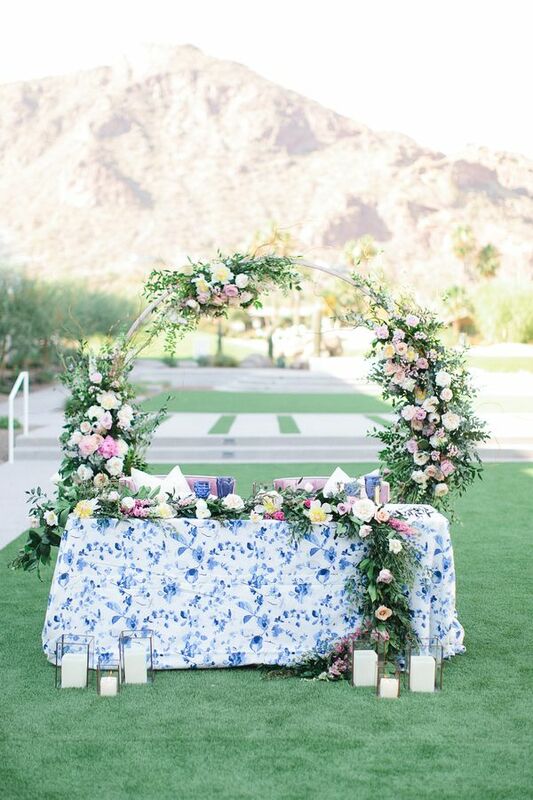 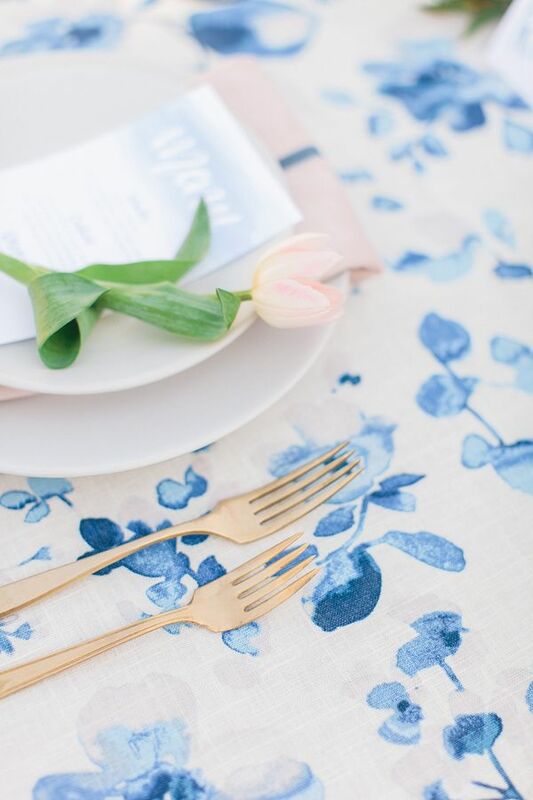 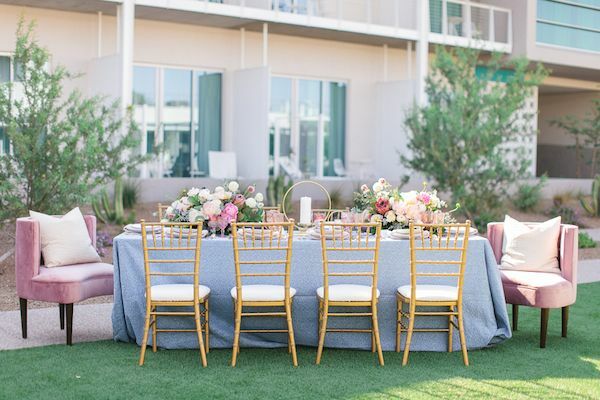 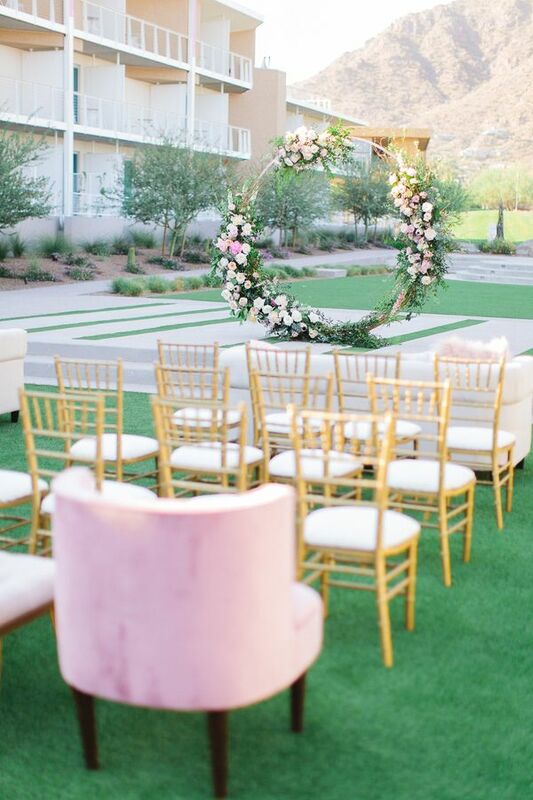 Things to be on the lookout for: A romantic ceremony install by LUX Florist, patterned linens from La Tavola Linens and the loveliest mountain view at Mountain Shadows. 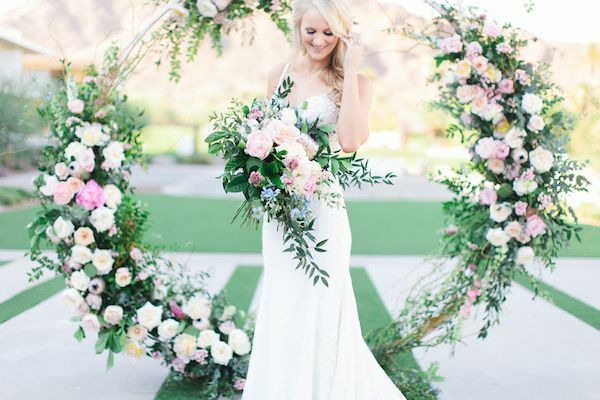 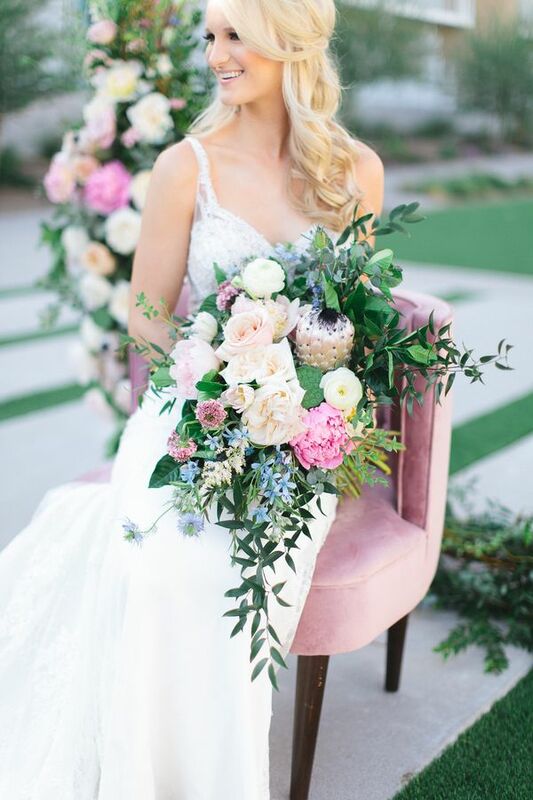 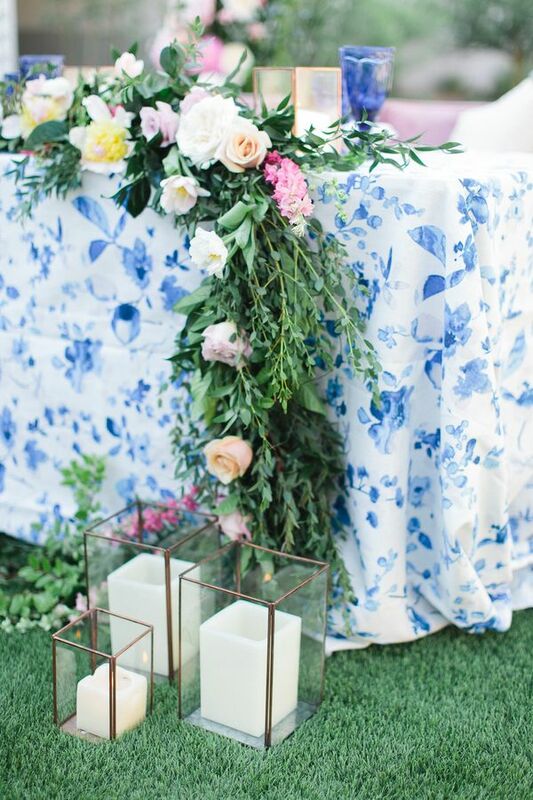 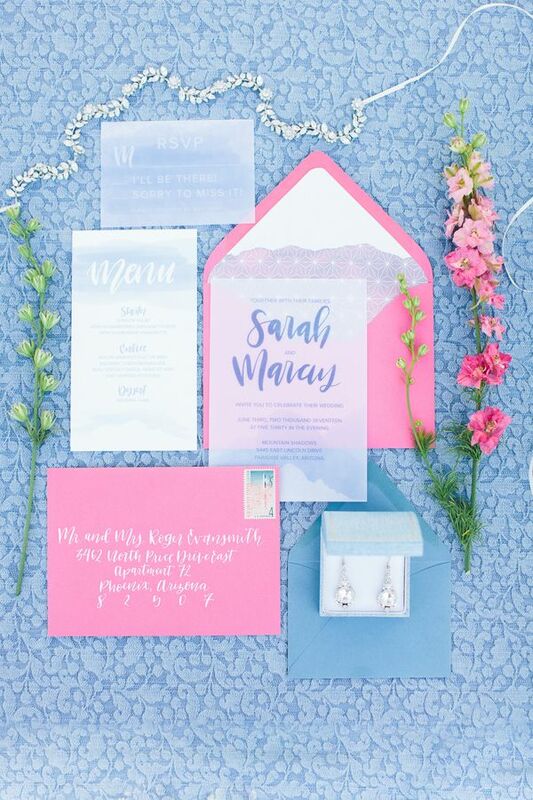 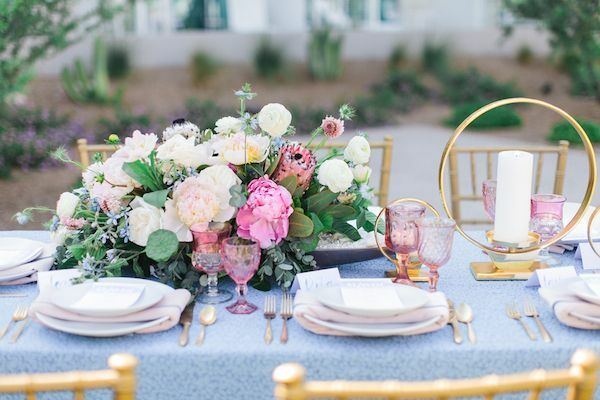 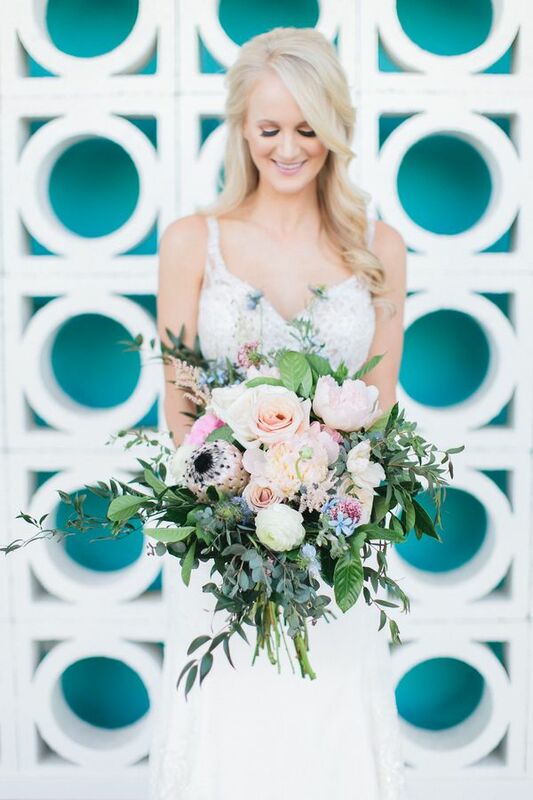 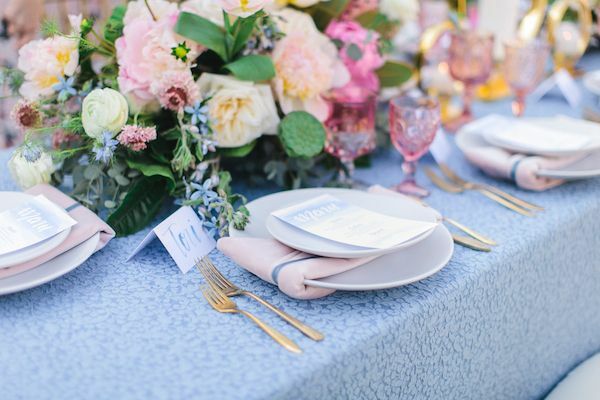 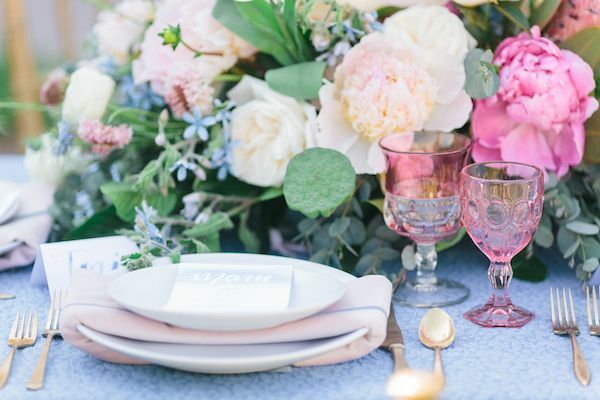 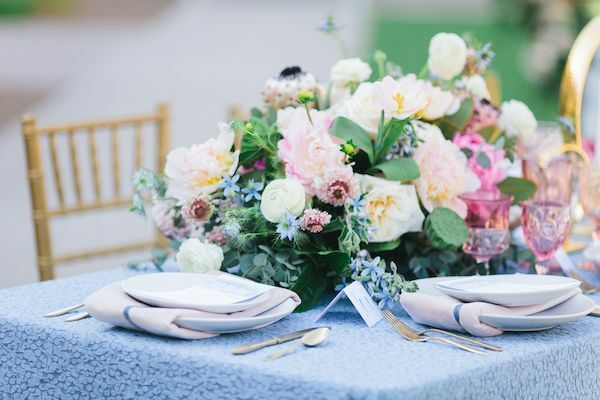 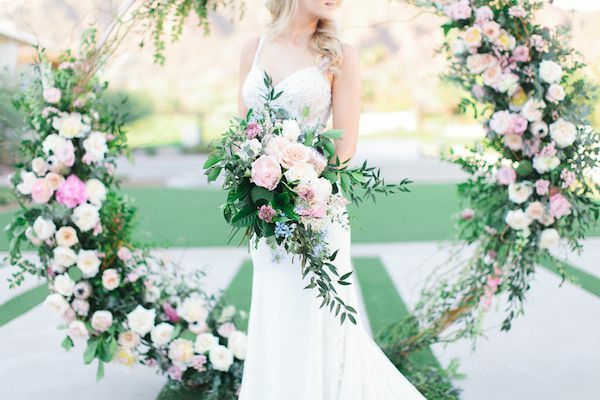 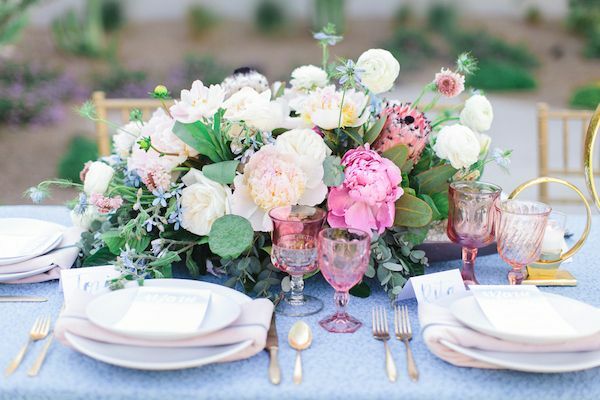 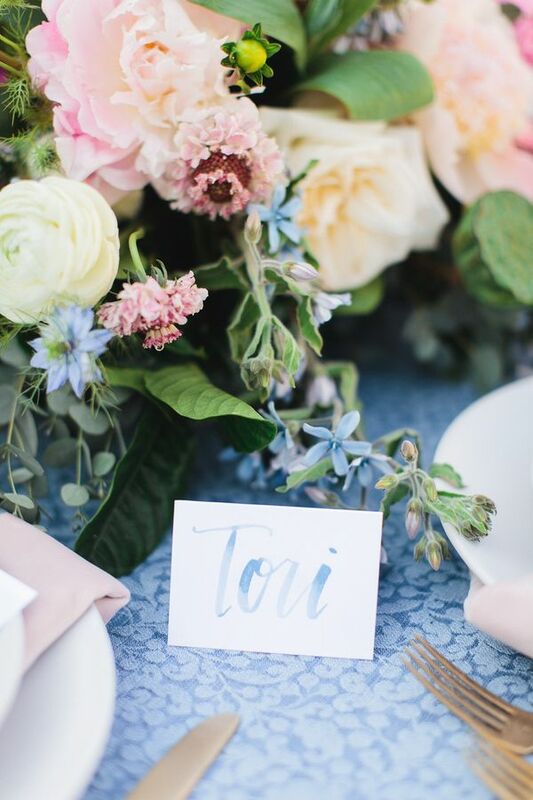 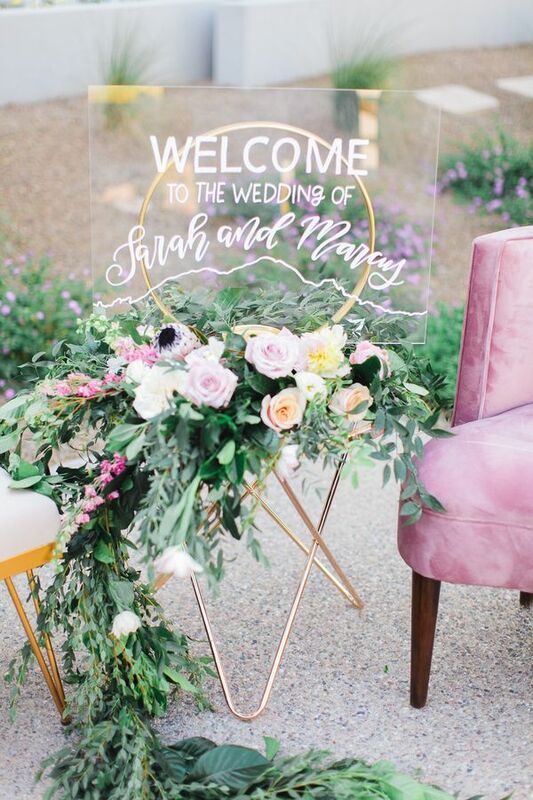 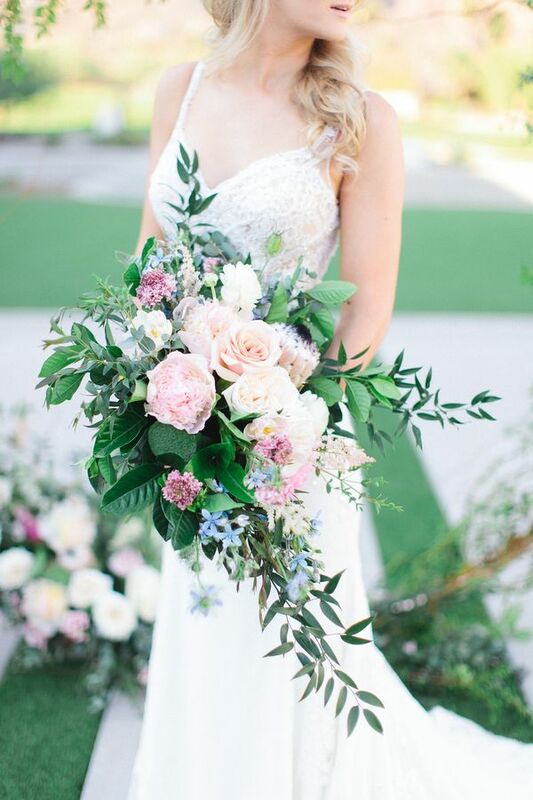 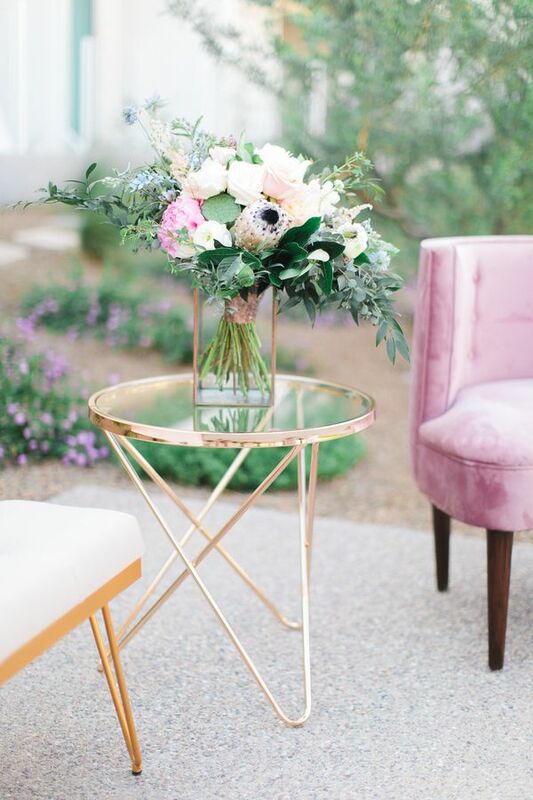 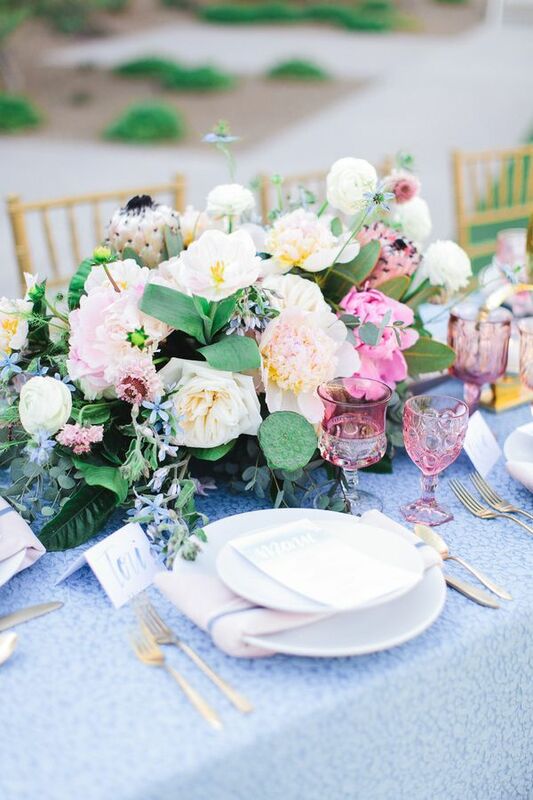 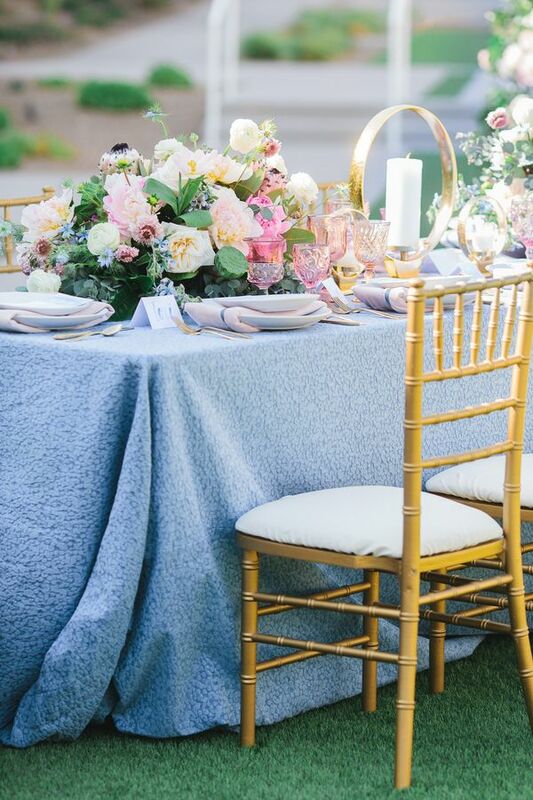 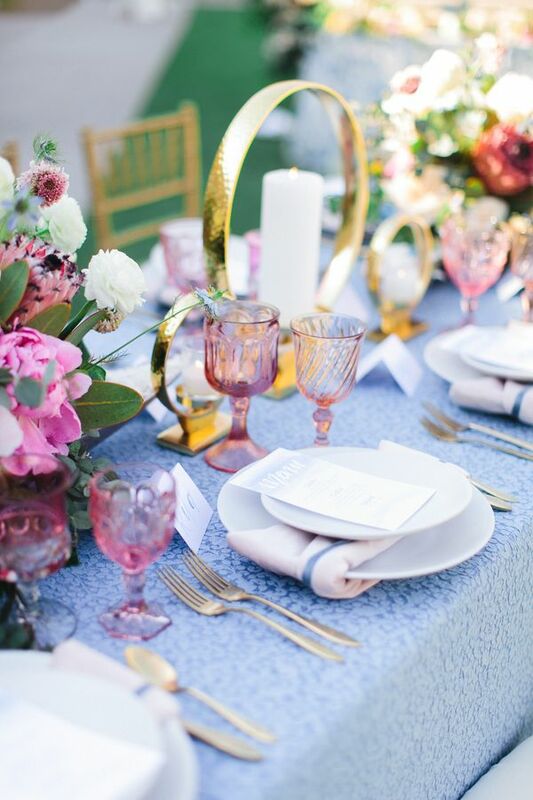 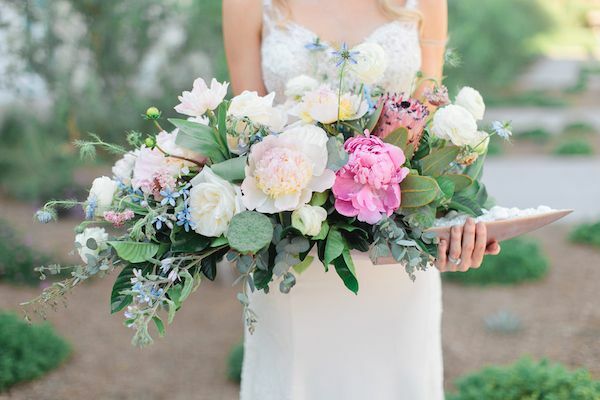 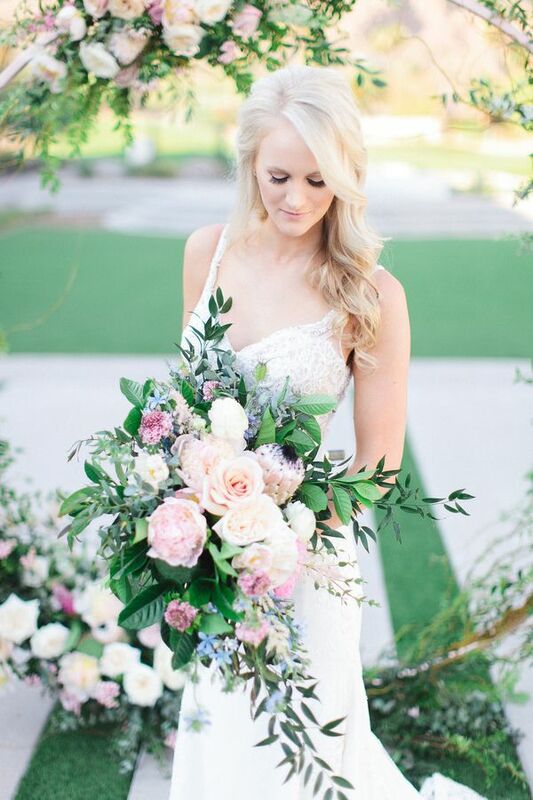 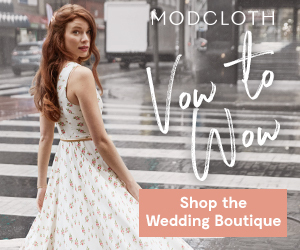 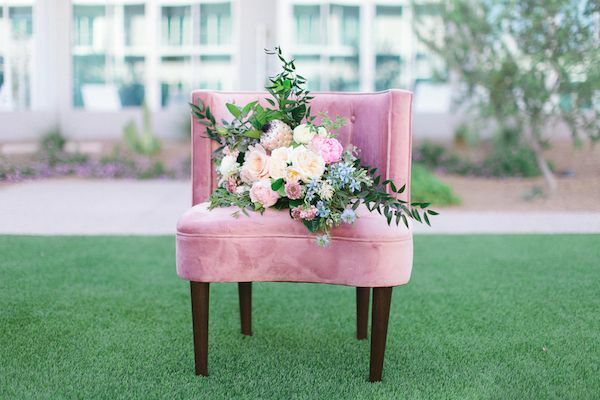 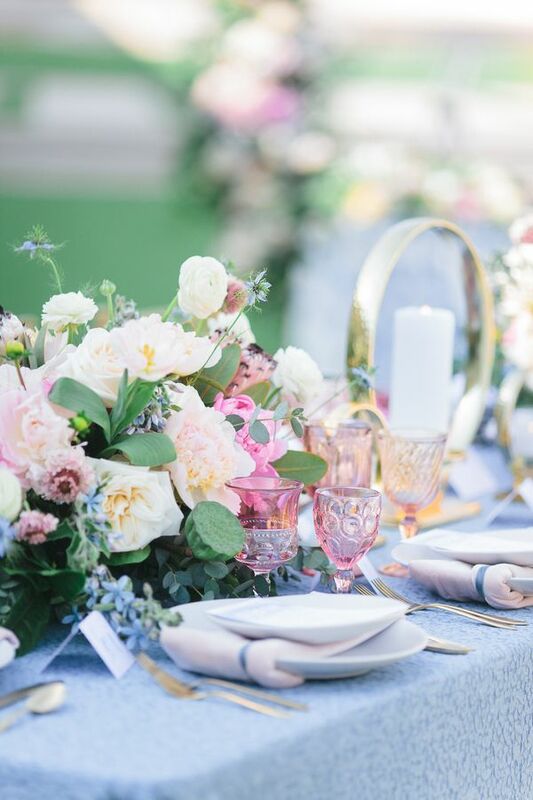 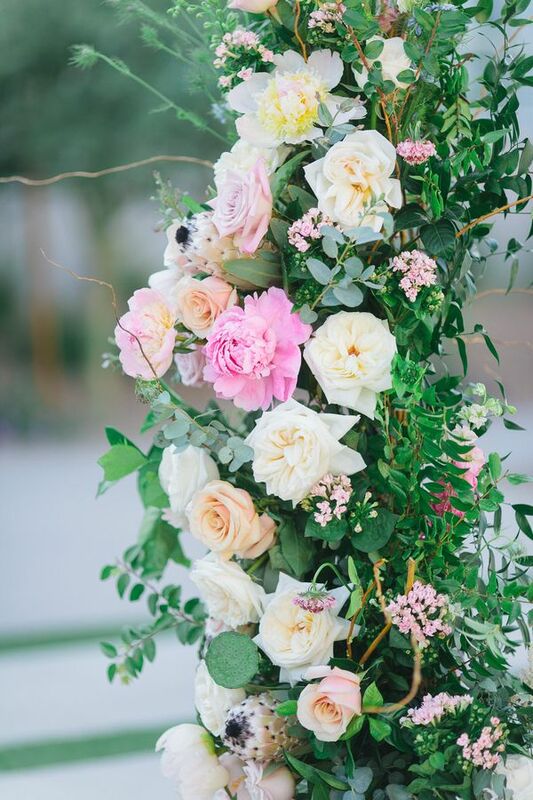 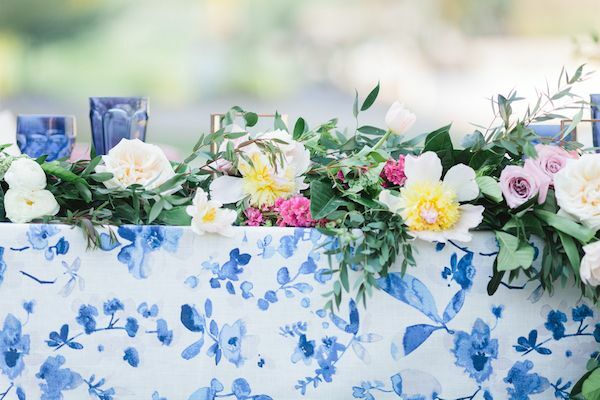 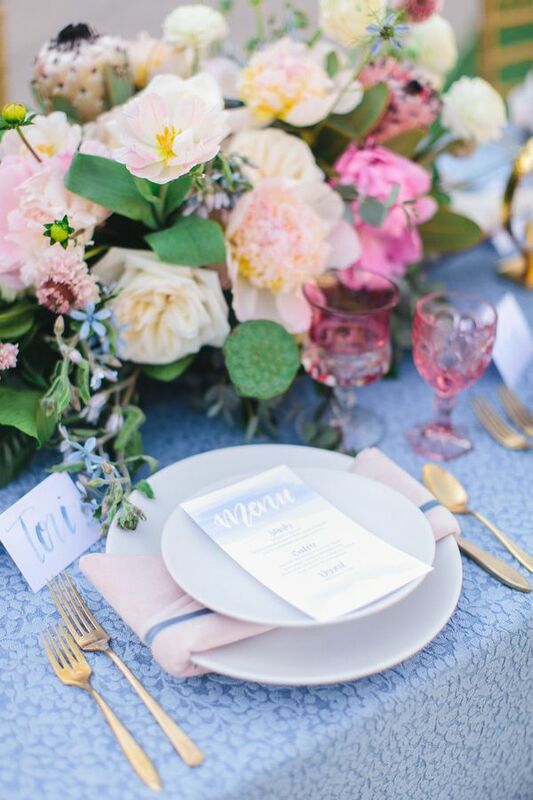 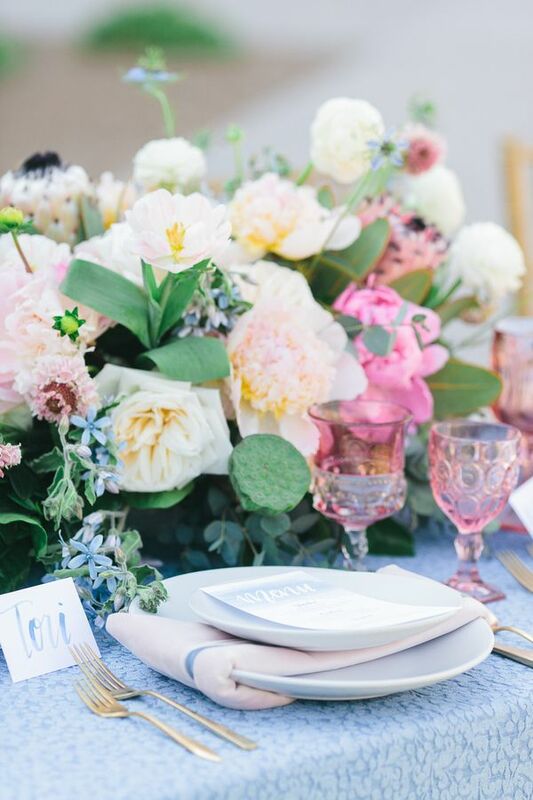 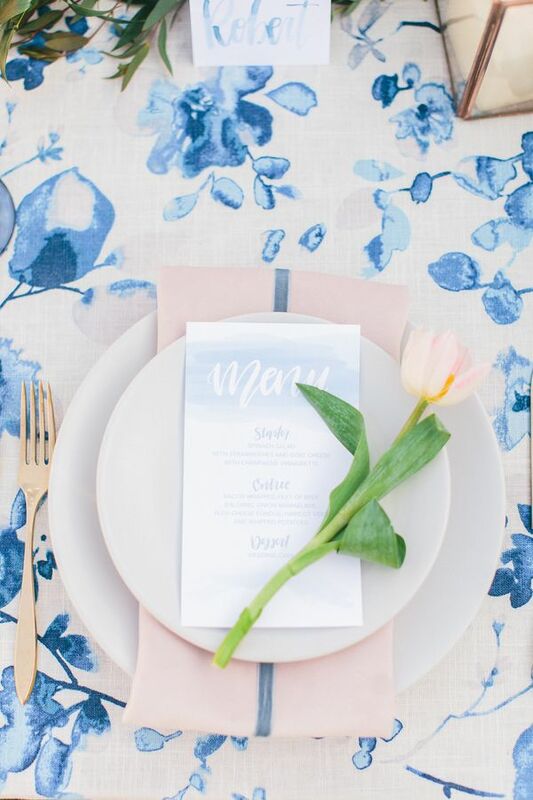 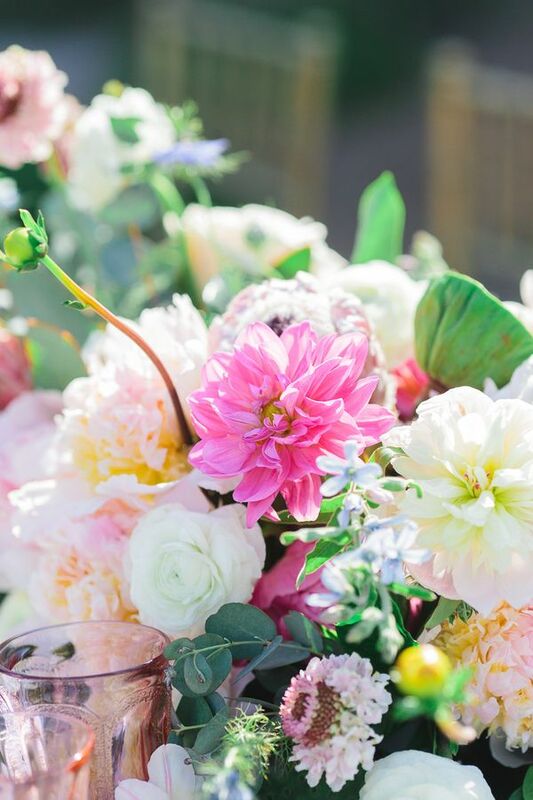 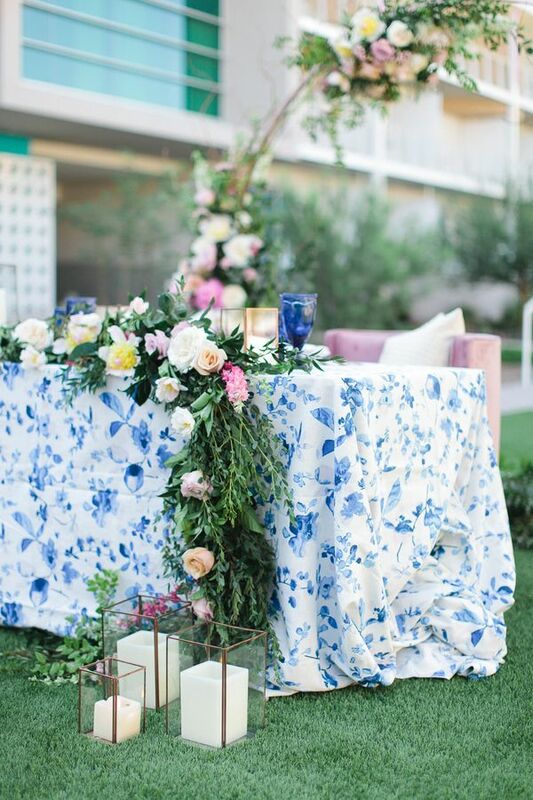 "We wanted to play off the classic pink and blue hues and romantic florals to capture what a lot of brides are drawn to and then showcase how you can make this new and fresh and put a modern twist on it." 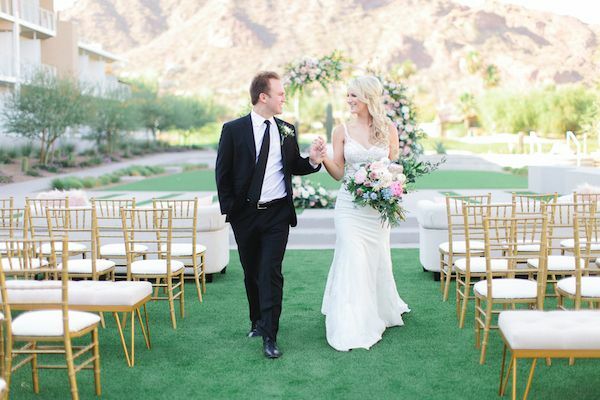 "We love the openness that Mountain Shadows (a new wedding venue in Arizona!) 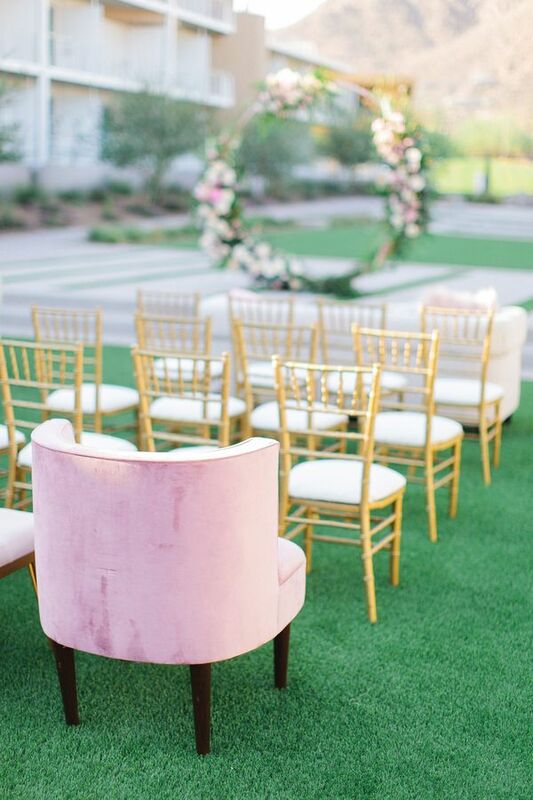 has to offer for ceremony and reception space, it allows for a lot of creativity when deciding how to design and set for a wedding or event. 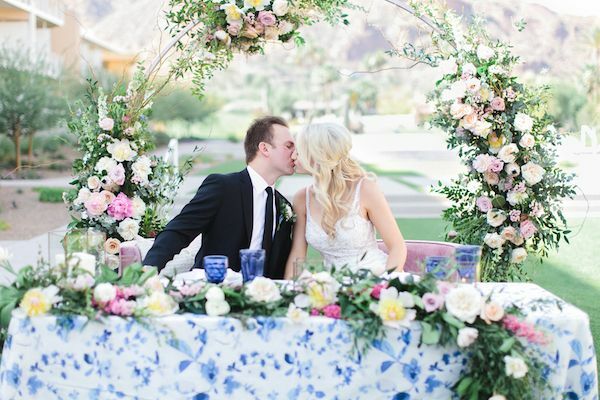 We also absolutely love the backdrop of Camelback Mountain." 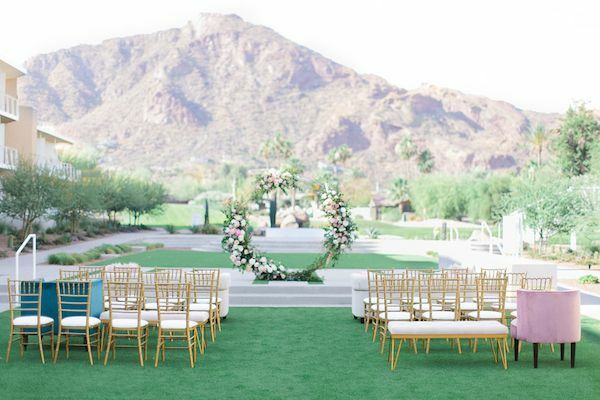 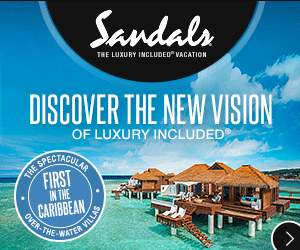 "The lines are clean and the space is wide enough to really take in the breathtaking views from any angle. 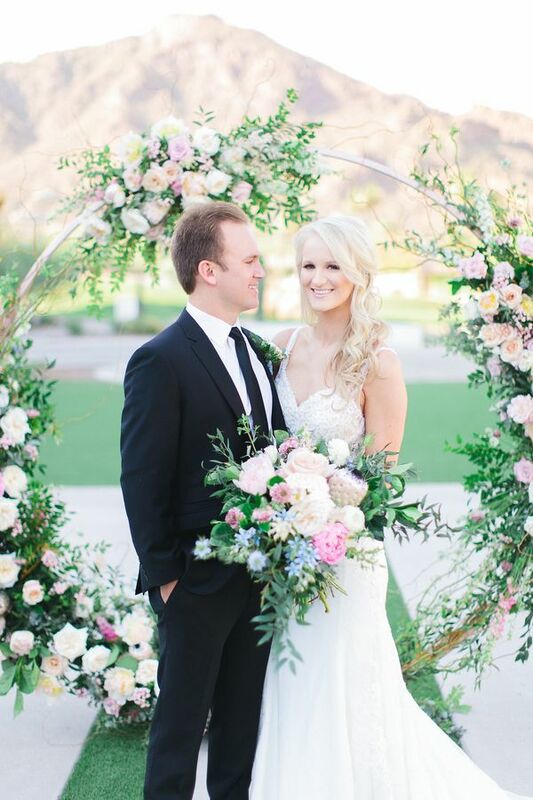 Couples are always asking what they can do that is "unique" or "different" than everyone else and that is what I love about Mountain Shadows." 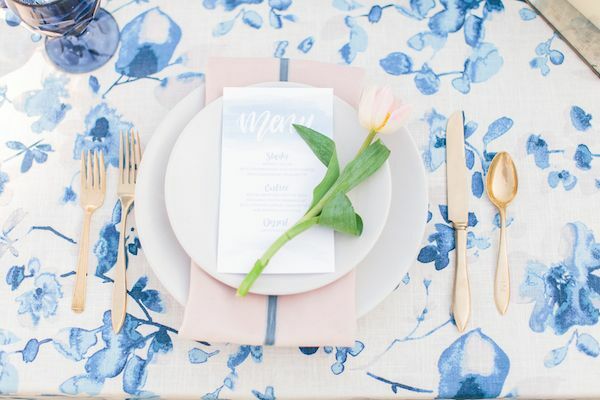 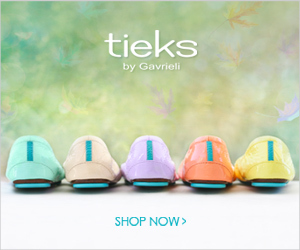 "You truly have a blank slate to work with and get creative. 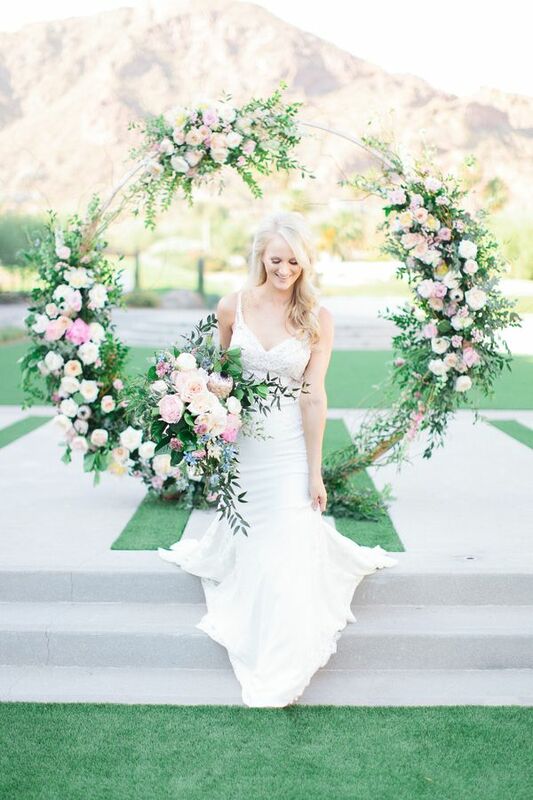 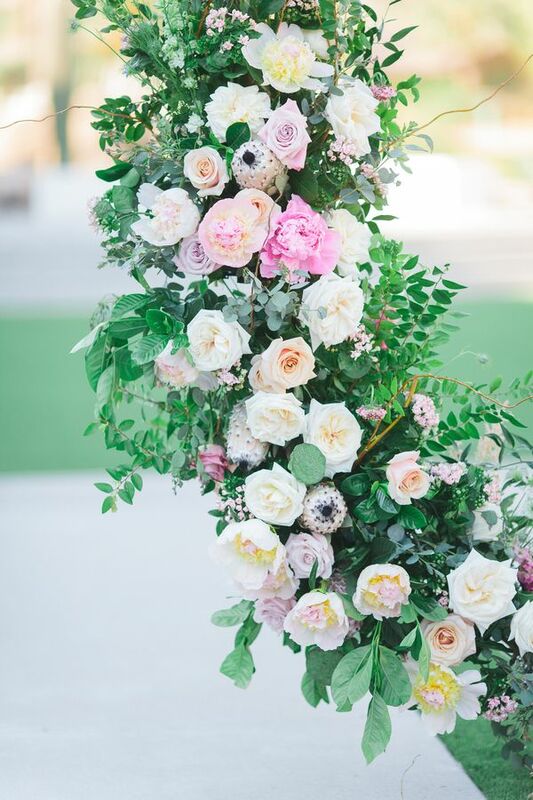 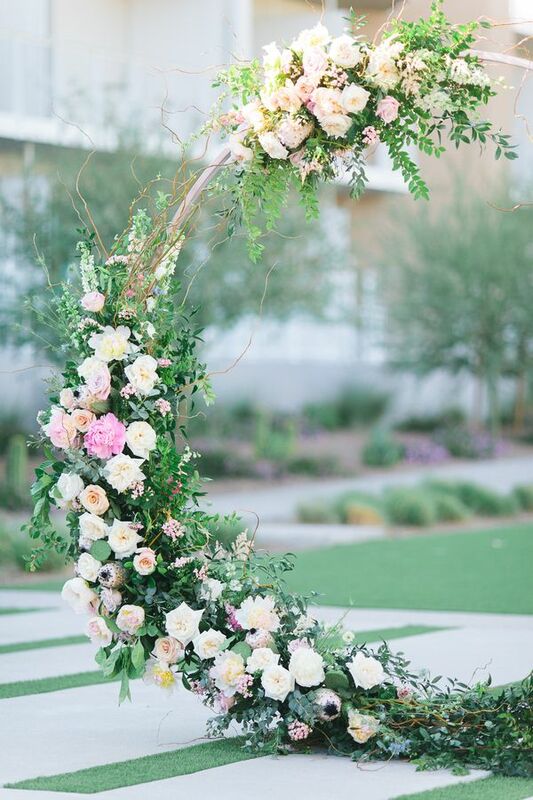 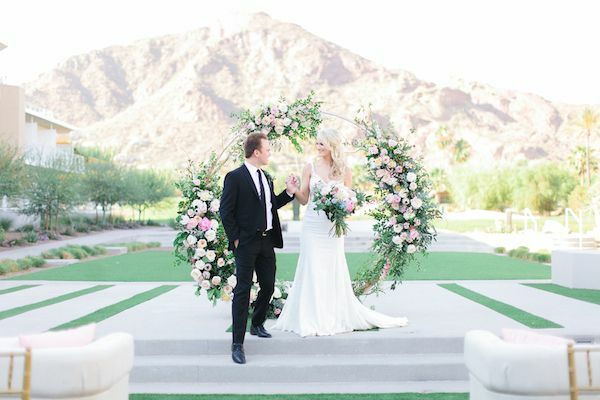 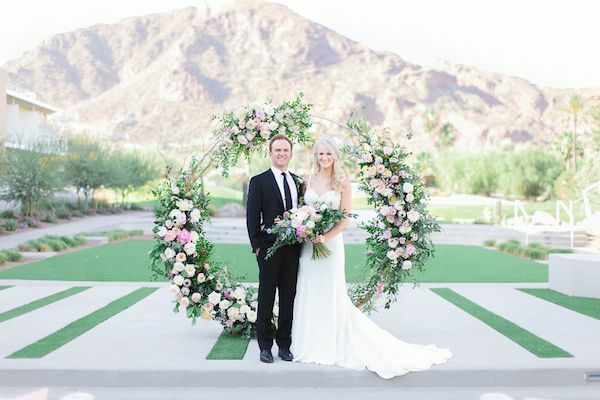 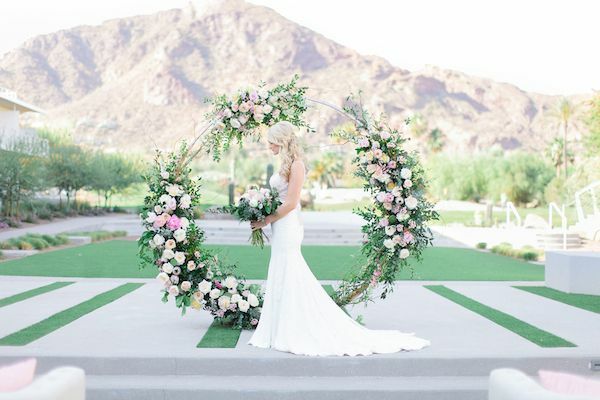 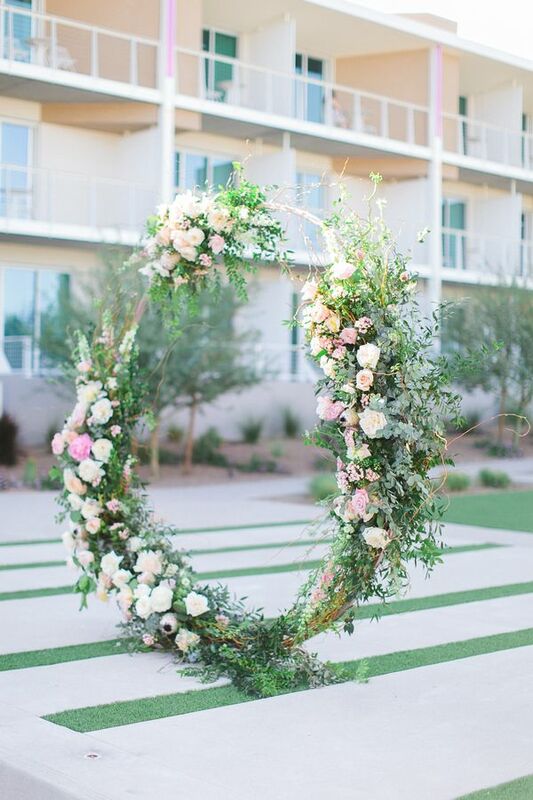 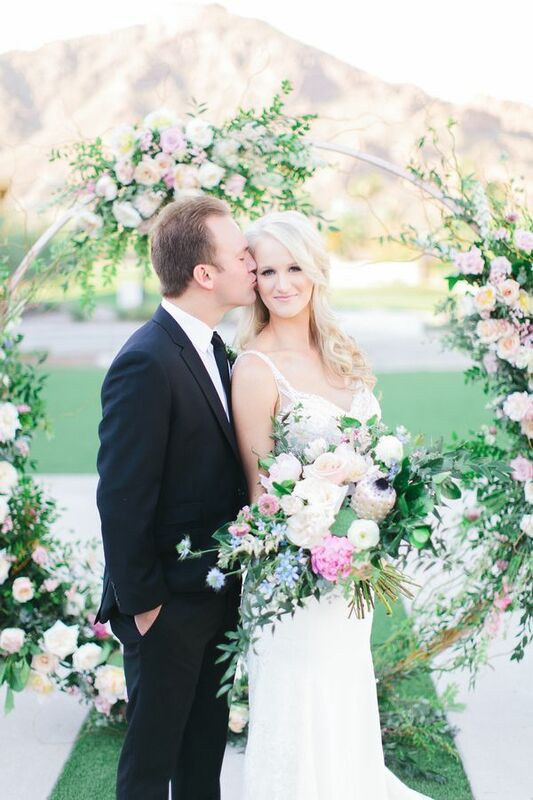 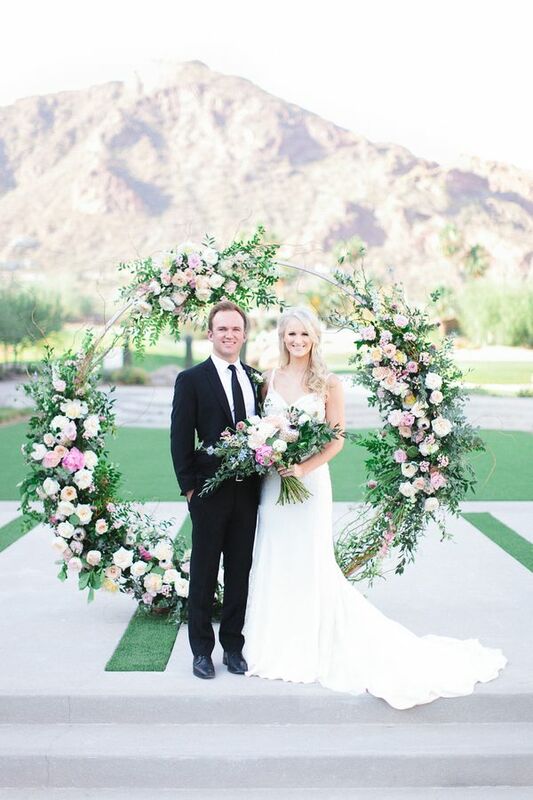 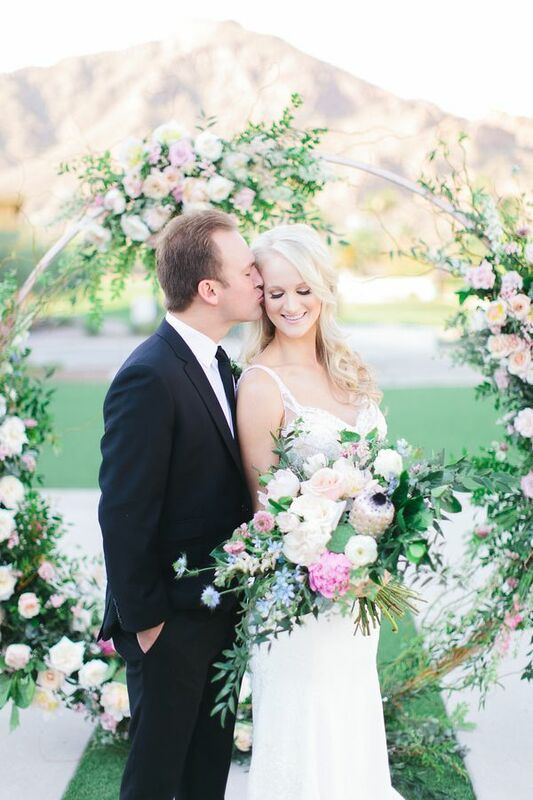 The round floral arbor was a perfect example of something new and different but also classic and elegant. 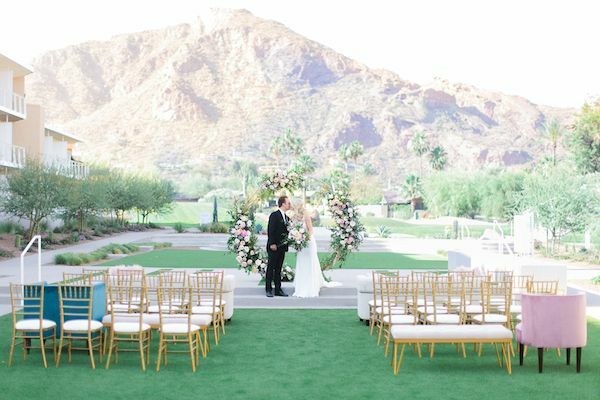 We love that it adds a backdrop for the bride and groom but doesn't take away from the view of the mountain." 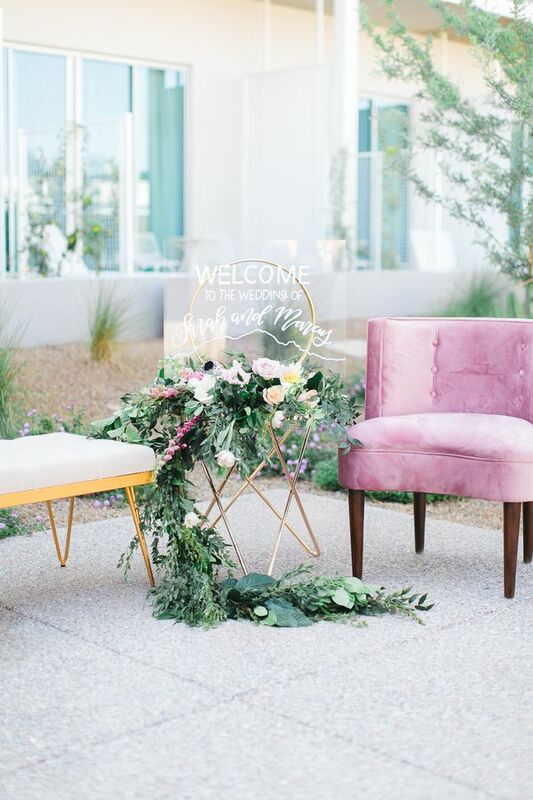 "Our main goal was to create something that really spoke to our style as a planning and design company, classic and elegant but always evolving and growing." 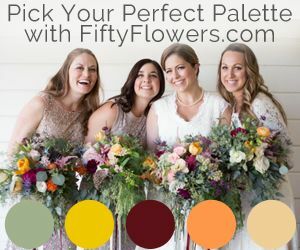 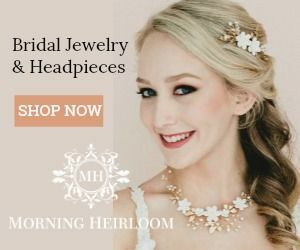 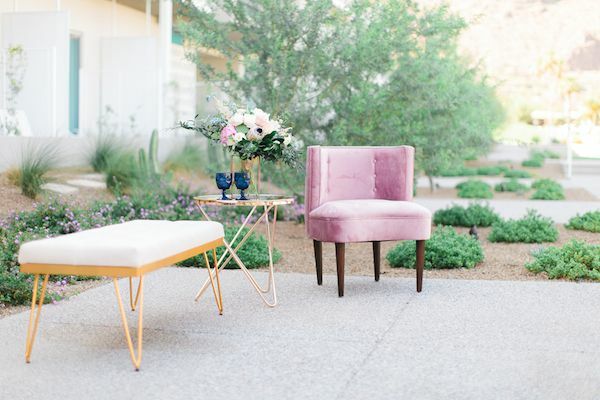 "We want this inspiration to be realistic and for couples to look at this styled shoot and actually picture themselves there in front of that arch or sitting in those beautiful velvet chairs and drinking from the rose colored glassware." 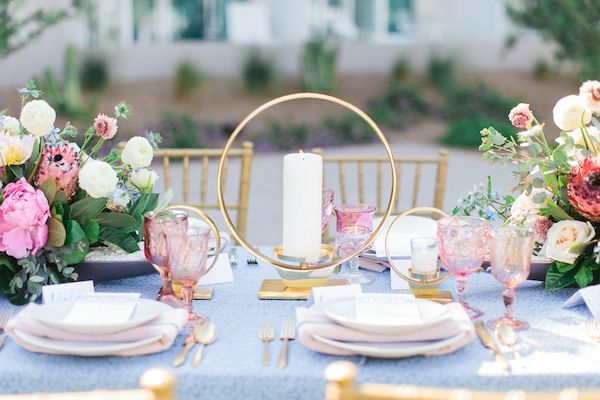 Beautiful event rentals from Prim Rentals, Event Rents, and Fancy Lou Designs really helped to bring this romantic scene to life. 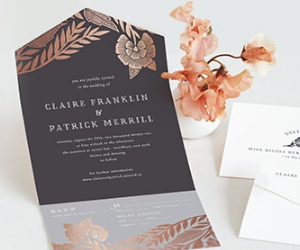 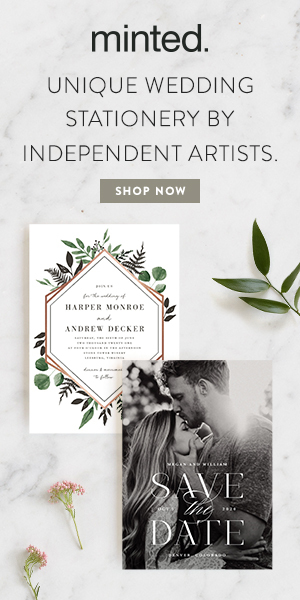 And a stunning wedding invitation suite from Freed Hands really set the tone for the day. 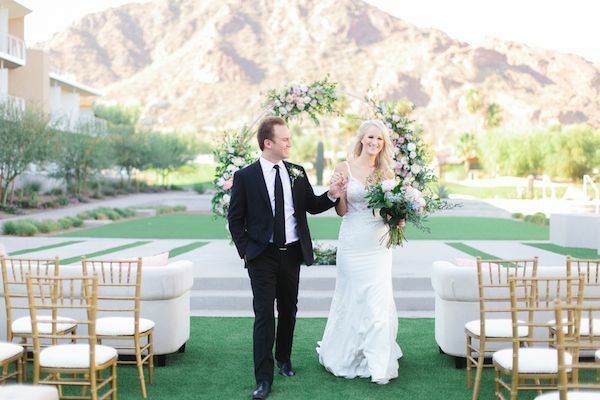 3 Comments " Whimsical Arizona Inspo with a Must-See Mountain View "
Mountain view is a perfect landscape for a wedding photography. 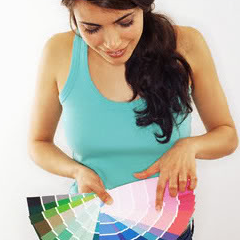 It contributes to the impression of the overall picture and gives a sense of greatness, as well as power. 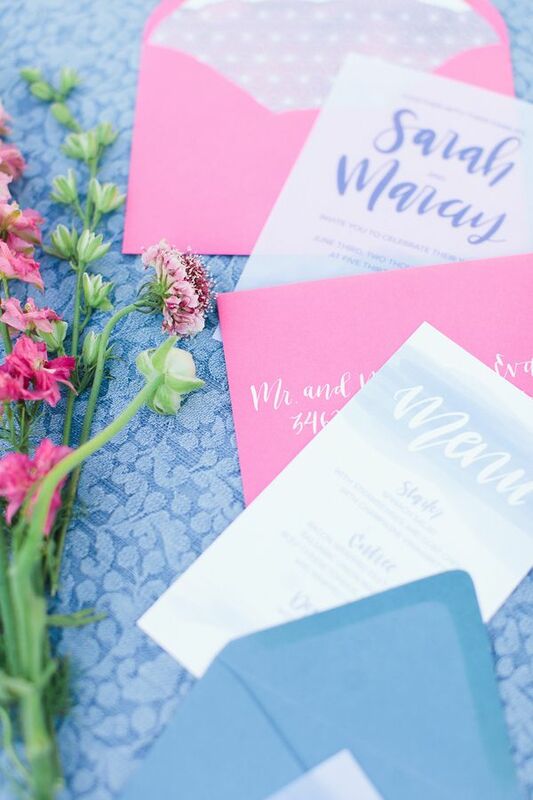 These are the main features hireessaywriter ticked as basics for photography.